Broadband & Home Phone With eir, you can experience unlimited broadband with superfast speeds. .. Totally Unlimited Broadband Unlimited Off-Peak local & National +50 TV Channels FREE..
€52.99* per month 100Mb/s download speed 10Mb/s Upload Speed Unlimited data 12-months contra..
61+ Channels 100Mb/s Download Speed Unlimited Data Off-peak home 12 months Contract..
90+ Channels 100Mb/s Download Speed Unlimited Data Off-peak home 12 months Contract.. When it comes to choosing a broadband and TV provider in Ireland, nowadays eir is one of the first names that might come to mind. Since rebranding from Eircom and since opening the biggest fibre network in the country, they have come a long way. They’re still increasing their network, with eir Extreme availability reaching across the country. But as one of the country’s only two quad-play providers, they also have a range of customised bundles offering a lot more than just broadband. They also offer phone, mobile, TV, and separate sports packages, separately or in bundles, with a lot of different deals for each service. The scale of the services alone isn’t enough to help you judge which broadband and TV provider you should choose, however. How easily you can get exactly the service you want at a cost-effective rate is the make-or-break factor. Here, we’re going to look at what the updated eir has to offer their customers. We’ll be taking a look at all their individual services, as well as the variety of bundles on offer. Consumers would be wise to bear in mind that the availability of eir’s services can depend on where in the country you are based, especially when it comes to the availability of their fastest internet speeds. Before making the jump to switch to them, know what kind of deals you can expect. Quad-play means that customers can get all four of the major network services from one provider. 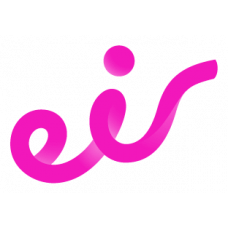 eir is one of the only three companies (the others being Virgin Media and Vodafone) that offers broadband, home phone, TV, and mobile services. Other networks may lack one or two of them. The sheer convenience of having all these services from one provider cannot be underestimated. What’s more, it’s been shown that getting more services from one provider, rather than one each from several, can result in much lower bills. eir sweetens the deal even further with its service bundles. There are packages that provide broadband and phone services, broadband, phone and TV services, and broadband, phone and mobile services. Each of these bundles reduces the overall price that the separate packages would cost consumers separately. What’s more, they each come with the eir Sports package added for free. While the value of these deals can be hard to argue with, they are only truly valuable if the services are worth the asking price. For that reason, we need to take a deeper look at the individual services eir has to offer. Our need for superfast, unlimited broadband has only grown within the past ten years. We have more devices connected to the internet at any one time, using them for more bandwidth-intensive tasks than ever before, such as streaming high-quality videos, playing the latest online video games, and more. Any broadband service needs to be able to meet the demands of the average family and eir is a provider that can certainly do that. Amongst the quad-play providers, eir has the fastest unlimited connections, with their Ultra Fibre broadband getting up to speeds of 1000mb. This is the fastest growing fibre optic network in the country and their website has a fibre rollout map to show where the service is available right now, as well as when it can be expected in areas It isn’t available in. There are very few areas of the country where this network isn’t expected to spread within a year. For areas where that isn’t available, they offer 100mb download speeds, 20mb upload speeds contracts for twelve months with unlimited usage with no caps. This, of course, includes free installation of an eir Wi-Fi modem and parental controls Furthermore, the eir Sport package comes with all broadband deals, providing Premier League, Champions League, Europa League, and major league rugby, UFC, GAA, F1 and more. Though streaming is fast rising to compete with the traditional television experience, it’s not safe to say that TV is going anywhere just yet. eir vision is the name of the provider’s television service and it primarily comes in two packages. The Essential package has 50 of the top TV channels, including several from RTE, BBC, Virgin Media, Disney, Channel 4, and Comedy Central. Pats of the eir Sports package are also included, with eir sports, BT Sport, and BoxNation included. The second package, Essential, adds around thirty premium channels, including CNN, SyFy, Universal Channel, At The Races, Cartoon Network, Eurosport, and more. Both packs feature on-demand movies, multiroom options, and the ability to pause, play, and record live TV. With eir Vision Go, you can register up to two digital devices, including smartphones, laptops, and tablets, so you can watch live TV absolutely anywhere. Landline telephone services for the home are declining significantly, with just about everyone having a phone in their pocket. However, eir offers some of the best and most versatile packages at affordable prices. The eir talk packages become even cheaper in the bundles, as it’s included with each that’s currently available. Both eir talk and eir talk mobile world contracts last for 12 months, each. eir talk offers unlimited off-peak calls to Irish landlines with no extra charge, while eir talk mobile world adds unlimited calls to Irish mobiles as well as the biggest International landline and mobile networks. Perfect for those with family overseas. As you might expect, these days, there are significantly more options for mobile phones than landline telephone options. eir Mobile offers a range of bill pay phones, meaning you pay bills based on how many calls you make, as well as prepaid phones, which you pay for in advance then use. Their plans include options that include 10GB, 40GB, and 60GB data on 4G networks available in 96% of the country’s populated areas, as well as free EU roaming. Unlimited texts come as standard, with 200 Irish call minutes that can be updated to unlimited Irish calls. The premium package even offers 600 international minutes and texts. It’s not just about what you get, but the kind of treatment you get from the provider, as well. Help with setting up with eir is provided not just for new customers but also for switching customers who have hardware like a Sky TV box that can be converted or have an old phone number from another network that they want to keep. There’s a whole host of different support teams available 24/7, with technical support hotlines for broadband, TV, and mobile services operating separately. What’s more, Existing customers regularly get discounted upgrades. At any moment, you can check the eir website to see how much it costs to get their other services added to your current bundle. It’s been a long time since they were known as Eircom, and eir has come a very long way, indeed, has since earned a reputation as one of the fastest and best broadband providers, as well as having a competitive TV service. With the host of affordable bundles and the ultra-fast 1000mb fibre spreading throughout the country, it’s worth seeing what they offer in your area.